Today in 1917 the Coast Guard, which consisted of 15 cruising cutters, 200 commissioned officers, and 5000 warrant officers and enlisted men, became part of the U. S. Navy by Executive Order. Coast Guard aviators were assigned to naval air stations in this country and abroad. One Coast Guardsman commanded the Naval Air Station at Ille Tudy, France, and won the French Chevalier of the Legion of Honor. Many folks are unaware of the important role the Coast Guard played in Vietnam. Coast Guard Squadron One, also known in official message traffic as COGARDRON ONE or RONONE, was a combat unit formed by the United States Coast Guard in 1965 for service during the Vietnam War. Placed under the operational control of the United states Navy, it was assigned duties in Operation Market Time. Its formation marked the first time since World War II that Coast Guard personnel were used extensively in a combat environment. The squadron operated divisions in three separate areas during the period of 1965 to 1970. Twenty-six Point class cutters with their crews and a squadron support staff were assigned to the U.S. Navy with the mission of interdicting the movement of arms and supplies from the South China Sea into South Vietnam by Viet Cong and North Vietnam junk and trawler operators. The squadron also provided Naval Gunfire support to nearby friendly units operating along the South Vietnamese coastline and assisted the U.S. Navy during Operation Sealords. As the United States’ direct involvement in combat operations wound down during 1969, squadron crews began training Republican of Vietnam Navy sailors in the operation and deployment of the cutters. The cutters were later turned over to the RVN as part of the Vietnamization of the war effort. Turnover of the cutters to South Vietnamese Navy crews began in May 1969 and was completed by August 1970. Squadron One was disestablished with the decommissioning of the last cutter. The squadron was awarded several unit citations for its service to the U.S. Navy and the South Vietnamese government during the six years the unit was active with over 3,000 Coast Guardsmen serving aboard cutters and on the squadron support staff. Six squadron members were killed in action during the time the unit was commissioned. Squadron One was highly successful interdicting seaborne North Vietnamese personnel and equipment from entering South Vietnamese waters. The success of the blockade served to change the dynamics of the Vietnam War, forcing the North Vietnamese to use a more costly and time-consuming route down the Ho Chi Minh trail to supply their forces in the south. Don’t forget our regular meetings continue the first and third Thursdays of the month at 6:00 PM (tonight). Monday morning Koffee Klatch meetings in April are still scheduled for biscuits and gravy and maybe a waffle or two and always a cup of Joe (coffee to the civilians). Keep your eye on the weather in case things have to be postponed. That will be most likely if the storms bring strong winds and lightning. If you are a veteran come on by. If you have a good story it may end up in print. 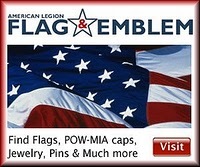 Also keep up with us at website “americanlegion142.org”.